When it came to the unenviable task of picking 16 of the best breweries in the West, our editors realized that there were just too many fantastic choices for us to come to a reasonable agreement without murdering each other. Luckily, Portland-based beer luminary Ezra Johnson-Greenough stepped up to the plate. One of the region's most trusted voices in beer -- he founded the popular New School Beer blog, along with Portland Beer Week, the Portland Fruit Beer Festival, the Portland Farmhouse & Wild Ale Fest, and more -- Ezra drank many beers (research! ), debated long and hard, and picked 16 out of the hundreds of worthy brewers. 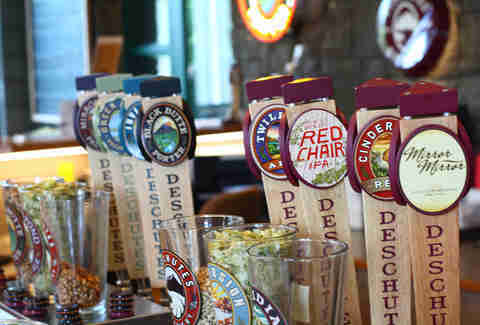 Starting off in the little town of Bend in 1988, Deschutes has grown into the sixth largest craft brewery in the country -- and cemented its status as a legend. It's not their size that matters, but how they have grown on their own terms without losing quality. In fact, you could argue they have only gotten better. Black Butte Porter is still the best American example of the style, Mirror Pond Pale Ale is a classic, they broke open the barrel­-aged imperial stout category with The Abyss, and they haven't forgotten about cask beer while dabbling in gluten-free brews and sours on the side. Upright was the first dedicated farmhouse­-style brewery in Oregon, and among the first in the country after Ommegang Brewery, where Upright owner/brewer Alex Ganum earned his pedigree. Upright ferments in open-top vessels in an isolated room using techniques and vessels rarely implemented in the United States. Since opening six years ago, the brewery has branched out heavily into German-inspired beers and barrel­-aged fruit beers. Fantasia -- Upright's annual Lambic-style barrel­-fermented peach sour -- is one of the most sought-after beers in the country. What started out as a small homebrew operation in San Diego County has blossomed into one of the most popular and fastest-growing breweries in the country. 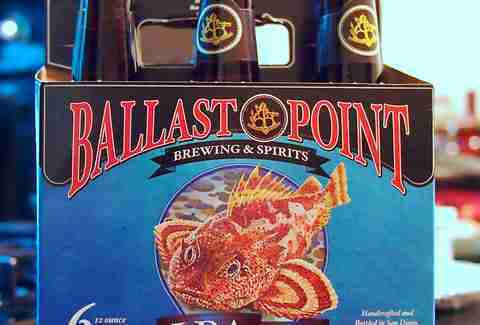 Best known for their Sculpin IPA -- and variations like the crazy-popular Grapefruit Sculpin -- Ballast Point has continued to branch out by starting their own world-class spirits program and distillery while still retaining their original homebrew spot and numerous tasting rooms and brewpubs around the county. Not to be confused with Port Brewing, Pizza Port may be the only restaurant chain that also makes spectacular beer. Under the watchful gaze of brewmaster Jeff Bagby (who recently seceded to start his own Bagby Brewing), Pizza Port's five locations around San Diego County have won more than a dozen medals at the Great American Beer Festival. Opened first as just a pizza joint in 1987, it became a brewery in 1992 and helped put San Diego on the map as arguably the world's best beer city (well, number two in this writer's opinion). Sierra Nevada and its founder, Ken Grossman, are among a small group of dignified luminaries in the industry who have neither retired or sold out. Perhaps more than any other brewery in the world, Sierra Nevada has focused its efforts on hops: hoppy beers, growing hops, new hop varieties, and finding better ways to utilize them. Ken and brewmaster Steve Dressler correctly pinpointed hops as the most important area of growth in craft beer, and, due to their continued innovation, Sierra Nevada has always remained on the cutting edge even after 35 years. Crooked Stave is making some of the most interesting sour, wild, and barrel-­aged beers in the country. Owner/brewer Chad Yakobson has pioneered the increasingly popular hoppy sour ale, and has been utilizing wild strains of yeast with fruits, herbs, and spices, in innovative new ways using open fermentation. Crooked Stave's newish taproom in "The Source" building in Denver is also a must-visit and among the best tasting rooms in the country. Avery is one of the reasons why Colorado is the third-best state in the country for craft beer. Formed in 1993 -- just in time for the dawn of the golden age of craft brewing -- Adam Avery has become one of the pioneers of the industry, making a wide assortment of beers from IPAs to barleywines and porters that are all equally delicious. Highlights include Avery's Hog Heaven barleywine, The Maharaja imperial IPA, and The Czar Russian imperial stout. New Belgium Brewing might be the most underrated regional brewery in the country. From the moment they hired brewmaster Peter Bouckaert away from Rodenbach in Belgium, they staked their claim as innovators and leaders in the industry. Even before Russian River, New Belgium began their barrel­-aging and sour beer program that culminated in the release of their famous La Folie, a Flanders brown. Since then, Peter and his team of world-famous brewers and blenders have shepherded in a new age of innovative Belgian-­inspired beers and the largest collection of wood-aging vessels outside of Belgium. Top that off with the fact that New Belgium is run by one of the few women CEOs -- Kim Jordan, who recently led the company into employee ownership. Firestone Walker is becoming almost as famous for their pale ales as its co-owner's family is for tires. From humble beginnings brewing beers for Trader Joe's, brewmaster Matt Brynildson has brought home numerous medals for the brewery's pale ales and new dry-hopped Pivo Hoppy Pilsner, and FW's now become equally as famous for its barrel­-aged beers and annual anniversary offering blended by local winemakers. Thai Me Up/Melvin Brewing may be the most unsuspecting little brewery that will blow your socks off. Founded by Jeremy Tofte out of a Thai restaurant, it's just a nanobrewery that has taken the world by storm winning numerous competitions for their double IPAs including medals at the World Beer Cup, Great American Beer Festival, and the hoppiest competition of all, the Alpha King Challenge. AleSmith's been brewing out of an unassuming business park since day one. You wouldn't expect their world-class beers to be coming out of a space that looks like a DHL office, so its even more shocking to find Speedway Stout -- one of the best coffee beers in the world -- on tap, plus a Wee Heavy that I call the finest smoking beer in the US: it could replace your nicotine patch. Breakside's just under five years old, but, in the last two, it has really grown out of its meager beginnings as a nano brewpub in an obscure residential neighborhood of Portland. The brewery graduated to a 30-barrel brewhouse and has won medals at the World Beer Cup and GABF in a variety of styles from stouts to sours; they officially hit the big­ time in 2014 after winning a gold at the Great American Beer Festival for American­-style IPA, the most popular and highly contested style in the fest's history. 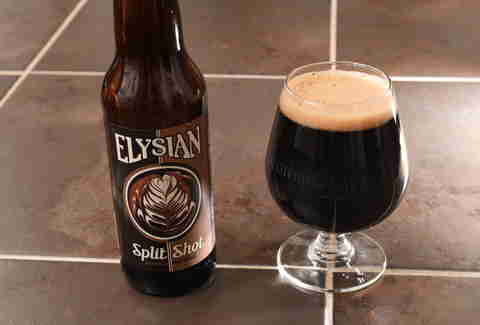 Elysian was one of the most talked-about breweries in the country before being purchased by Anheuser­Busch earlier this year. But regardless of who's paying the bills, Elysian's innovative use of pumpkins at their now-famous Great Pumpkin Beer Fest, exploitation of New Zealand hops in Space Dust IPA, and inspired comic book and record label team­-ups with Fantagraphics and Sub ­Pop Records help them stand among the best. Worldly beer experts often argue the best pilsners, Helles, and Oktoberfests come out of Germany or the Czech Republic. And while they may be right, the miniature Chuckanut Brewery in the small city of Bellingham makes lagers to rival them. In fact, Chuckanut makes the finest lagers in America. Founded by Will Kemper of the famous Thomas Kemper soda empire, Chuckanut's lagers often blow away the competition -- in 2009, they scored Best Small Brewpub & Brewer in the nation at the Great American Beer Fest. Sadly their beer can be difficult to find, even in Seattle. 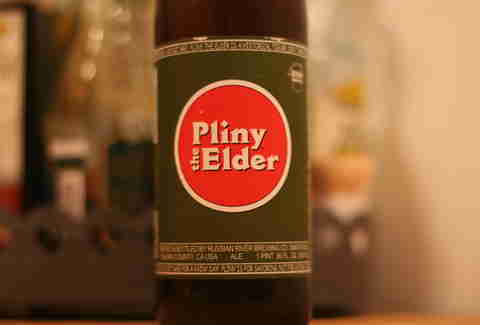 Russian River almost needs no introduction, since they're the creators of the most cultishly sought-after beer in the country, Pliny the Younger. Still, if you're not a fan of the triple IPA beer geeks all over the world still seek out, there's their regular Blind Pig IPA and their double Pliny the Elder. 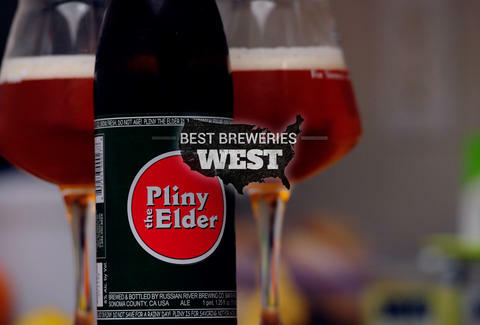 Russian River also led the industry with one of the first sour beer programs in the United States, making more than a dozen different barrel­-aged fruit beers of world-class quality. In other words, they tickle beer geeks in all the right places. Maui Brewing proves Hawaii is not all surf, sand, and Mai­ Tais: they also make some pretty damn good beer. Touted as Hawaii's largest brewery, Maui Brewing Co. brews and cans 100% of their beer in the state unlike competitor Kona Brewing now owned by Widmer's Craft Brew Alliance in Portland. Maui beers of note include the delicious Coconut Porter and the Maui Onion Mild Ale brewed with the world-famous sweet Maui onions grilled to perfection and only made once a year for the annual Onion Festival. Ezra Johnson-Greenough founded the New School Beer blog, and is the man behind Portland Beer Week, the Portland Fruit Beer Festival, and the Portland Farmhouse & Wild Ale Fest.